English defender who was captain of the World-Cup-Winning 1966 national team. 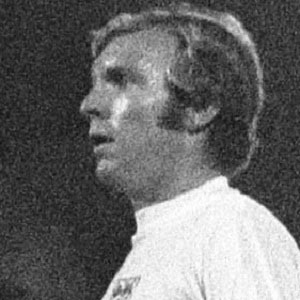 He appeared in 108 matches for the English national team from 1962 to 1973 and spent his club career with 5 different teams, most notably West Ham United from 1958 to 1974. He played soccer at Tom Hood School in Leytonstone and entered the youth system of West Ham United in 1956 at the age of 15. A sculpture of him was constructed at Wembley Stadium in London. He was married to Stephanie Parlane from 1991 until his death. He was previously married to a woman named Tina whom he had two children with before divorcing in 1986. Pele called him the greatest defender he ever went up against.